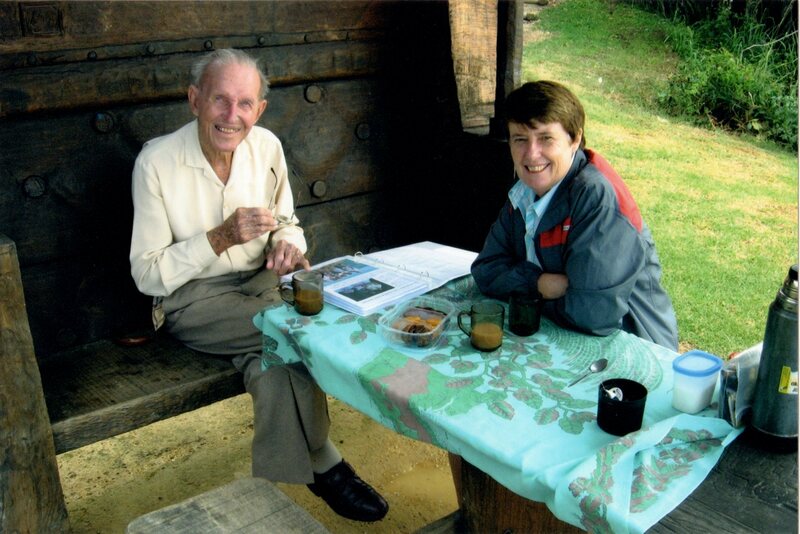 Geoff served in many roles in PNG for 56 years. He is author of the much loved hymn Islands and Mountains which is also the name of his biography. We last visited him in Port Macquarie in 2008. He moved to a retirement village in 2009. Recently we wrote a post A Booklet to Honour 100 Years of Anzac. It was fitting that David dedicated this latest edition of his booklet Up the Track with JESUS – Reflections on Kokoda to him. You can send your well wishes to him for his birthday to this address. This entry was posted in Personal, Writings and tagged 100 years old, Geoff Baskett, Port Macquarie. Bookmark the permalink. Happy 100th to Geoff Baskett! Have traveled through parts of New Guinea on two occasions now. Does anyone know where I can purchase a copy of “Islands and Mountains”? Copies are hard to find here in the U.S. Yes, they are. I got one on e-Bay! We continue to stand in Awe and marvel at God’s love and providence… With much love and prayers… and hearts of THANKSGIVING. Sita. Thanks Sita. We will pass this on to Geoff. Geoff Baskett as asked me to send this greeting to all that sent Birthday Greetings…. I work at Bethany Aged Care facility and had the pleasure of participating in his celebrations . Thank you so much for this from Geoff. It will mean much to everyone. To all friends of Geoff Baskett. I wish to inform you that Uncle Geoff went to be with the Lord a few weeks ago – a few months after his 100th birthday. RIP mighty man of God! Wow! Congratulations on turning 100 come 6th November and all praise to God. You certainly have seen a lot of changes. A complete full life I say. You will be glad to hear that the Evangelical Lutheran Church of Papua New Guinea is soon to launch Christian Radio, Voice of the Gospel on 89.1FM. Thanks Jerry. We will get this message to Geoff. What a great birthday gift for him to know this. Thank you Mr Baskett , thinking of your songs as we celebrate 40 years of Independence next week. We will sing them loud and proud!